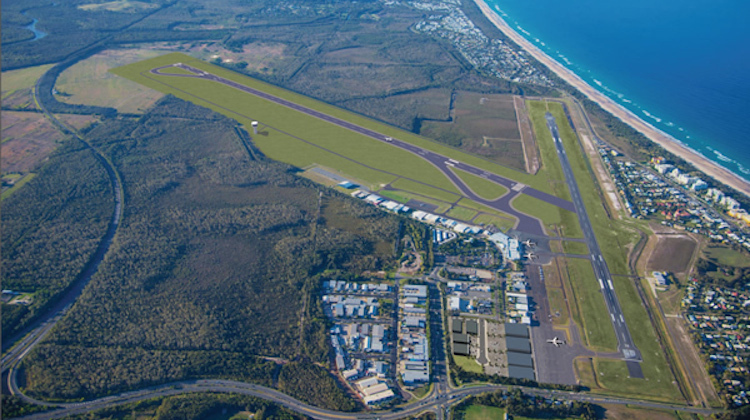 Sunshine Coast Airport’s proposed new runway will allow the fast-growing airport to open new markets and ease operational constraints on existing airlines flying to the Queensland tourist destination, the local council and tourism body says. The new runway at the council-owned airport is the centrepiece of a $347 million expansion project which is still waiting for final approvals. The plan is for a new 2,450m long and 45m wide runway to be built in a north-west/south-east orientation (Runway 13/31) as well as two end taxiway loops, a larger apron at the terminal and a new air traffic control and aviation rescue fire fighting station. “The characteristics of the existing runway significantly constrain the operations of modern jet passenger aircraft in that the runway length limits the destinations aircraft can reach by restricting the amount of fuel they can carry, or, as in the case of Air New Zealand services to Auckland, the number of passengers and freight that can be carried,” Sunshine Coast Airport’s expansion project documents said. Further, the current runway, which is orientated north/south and measures 1,797m long by 30m wide, required airlines to operate “non-standard narrow runway” procedures, which included a reduced tolerance to cross winds. Visit Sunshine Coast chief executive Simon Ambrose said the region needed to retain its competitive advantage in a crowded tourist market. “While Sunshine Coast Airport has done a great job in recent years accommodating the growth in airline services, the reality is that we need a major overhaul and upgrade if we are to maintain the momentum,” Ambrose said in a statement. “Investment is being made in regional airports across Australia, and while we may have one of the most enviable destinations in the country, unless we have the infrastructure to support it, we will lose out – and that means income for Sunshine Coast businesses and jobs for Sunshine Coast residents. Sunshine Coast Council chief executive Michael Whittaker said the project – the plan is for the new runway to be completed by 2020 – would support the local economy. “It is anticipated it will contribute $4.1 billion to the local economy and result in 3500 fewer dwellings being affected by noise each day, generate more than 2230 jobs and help our export businesses,” Whittaker said. 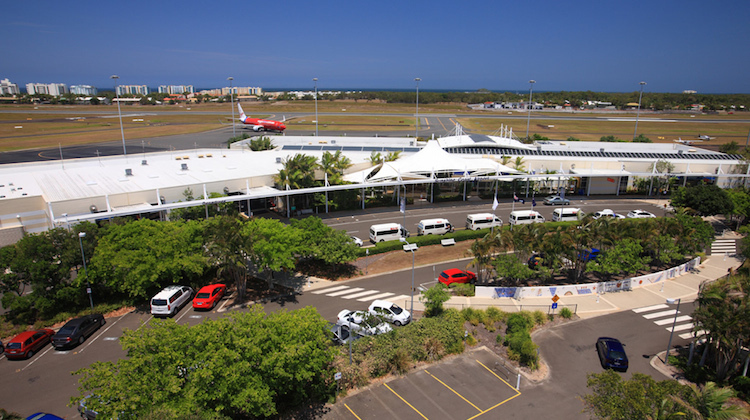 Sunshine Coast Airport said figures from the Bureau of Infrastructure, Transport and Regional Economics showed the facility handled 244,708 passengers in the three months to February 2016, up 19 per cent compared with the prior corresponding period. The airport said more domestic flights from Virgin Australia and Jetstar, as well as the start of Qantas flights to Sydney and a new seasonal service to Auckland from Air New Zealand, in recent times supported the boost to passenger numbers. “February was a sensational month for the airport and the figures clearly demonstrate the growing popularity of the airport with both locals and visitors,” Sunshine Coast Airport general manager Peter Pallot said in a statement. From the image and runway config 13/31, it should read North-West x South-East? the story has been fixed. apologies for the error. But as the article states, the existing runway has a reduced tolerance to cross winds which are predominantly from the south east which is why OOL is oriented 14/32. Delano, expansion of the North/South runway would mean taking out the Marcoola and part of Mudgimba townships, and extra noise pollution over Twin Waters/Maroochydore. A high speed N/S taxiway to join the main strip was considered at one time, but shelved. The N/West – S/East strip has been doing the rounds of Council since the mid 1980’s, and all the studies costs could have built two new Easr/West runways.